Adele, Taylor Swift and Beyoncé are viewed as among the very few superstar acts with enough leverage to set the terms for how they want their music to be consumed. 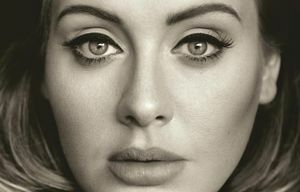 For Adele’s legions of fans and for the music industry at large, a big question has hung over the release of “25,” her first album in nearly five years. The album is all but certain to be a gigantic hit, but would Adele make it available for streaming on services such as Spotify and Apple Music? An answer emerged Thursday, after weeks of speculation: No. With fewer than 24 hours before the release of the album on Friday, the major digital-music services were informed that “25” would not be available for streaming, according to three people with knowledge of the plans. A spokesman for Adele declined to comment. Streaming has taken hold as the fastest-growing part of the music business and the format that record executives and technology mavens alike point to as the future of listening. But it remains controversial among many artists over royalty payments and issues of control. Most artists have no choice but to opt for streaming and accede to the terms set by the services. But Adele, Taylor Swift and Beyoncé are viewed as among the very few superstar acts with enough leverage to set the terms for how they want their music to be consumed. Adele is said to have been personally involved with the decision, which mirrors one made a year ago by Swift when she withdrew her music from Spotify, complaining that the service was devaluing her music by letting its users listen to it free. She later made a deal to add her newest album, “1989,” to Apple Music. Beyoncé withheld her last album, “Beyoncé,” from streaming for nearly a year after releasing it in late 2013. 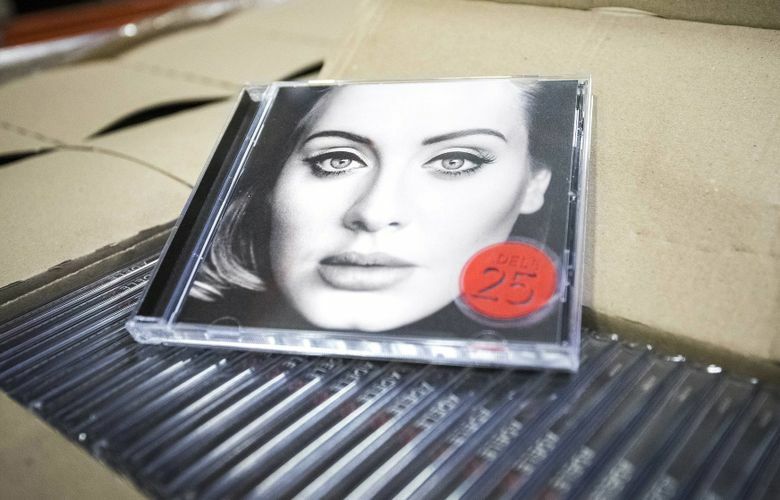 Adele’s “25,” released by XL/Columbia, is poised to be one of the biggest hits the music world has seen in years. According to Billboard magazine, music executives expect the album to sell about 2.5 million copies in its first week in the United States, a sum all but unheard-of today. The last album to have sales at that level in its first week was ’N Sync’s “No Strings Attached,” which moved just over 2.4 million copies in early 2000. Record labels have sometimes withheld albums from streaming outlets to increase CD and download sales. Adele was one of a number of major acts to do that in 2011, when she released her last record, “21.” That album was kept from Spotify for more than a year and went on to sell more than 30 million copies around the world. But that strategy has begun to fade as millions of listeners have come to prefer streaming to buying downloads or CDs. Spotify now has 75 million listeners, 20 million of whom pay for subscriptions. Apple, which introduced its streaming service, Apple Music, in June, said last month that it had 6.5 million paying subscribers, and 7.5 million more who were using it as part of a three-month trial period. “25” is being withheld not only from Spotify — which has both paid and free versions, supported by ads — but also from Apple Music and Rhapsody, which do not use the so-called freemium model. The freemium approach, championed by Spotify, lets users listen free as long as they like in the hope that they will buy subscriptions. Some music executives Thursday said it was possible Adele could decide to add her album to streaming services after a “window” that could be as short as a week. For now, “Hello,” the first single from “25,” remains widely available on streaming services, and its release last month seemed to show no negative impact from streaming. Despite its availability on Spotify and elsewhere, the song sold a record 1.1 million downloads in the United States in its first week. The video for the song has also been viewed more than 400 million times. Brick-and-mortar retailers are also counting on the album as a major sales attraction during the holiday season. Target has a version of the album with three extra songs, and began promoting it heavily this week. “We fully expect this to be one of our best-selling albums ever,” said Lee Henderson, a spokesman for Target.